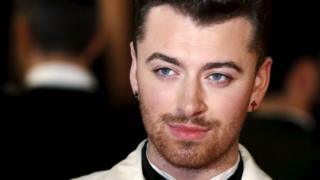 A driver stopped for using his mobile phone told police he was trying to find the new Sam Smith song on YouTube. The motorist received a £100 fine and three points on their licence. Dorset Police said when the driver was stopped he said: "I was trying to find that new Sam Smith song on You tube because I didn't have it on my phone." The singer has released the song Writing's On The Wall as the theme to the new James Bond film Spectre. Officers were carrying out checks on traffic offences on Thursday and stopped vehicles which had no insurance as well as others breaking the speed limit. Spectre sees Daniel Craig return as British spy James Bond, aka 007, in a globe-trotting blockbuster named after a sinister criminal syndicate. Two-time Oscar winner Christoph Waltz, French actress Lea Seydoux and Italy's Monica Bellucci also appear in the 24th official entry in the long-running series.